I think the long term rep on that guy is gonna reach Rushmore levels. Just for what he had to endure on a personal level and somehow not cut corners, no scandals, no major gaffes. Remarkable discipline. I'm attempting to distinguish public perception from actual presidency. He broke a barrier, killed bin Laden, and attempted a social responsibility healthcare that was unthinkable before or, in the immediate, after. The degree to which these things are admirable or directly attributable to him are irrelevant, when it comes to historical perception. Even the degree to which he injured his own parties electability is inconsequential compared to the abuses or missteps that maybe every other adored president has. I just hope I live long enough to see the moment 60 years from now, after universal healthcare is established and the Republican Party has burned to the grounds, when someone tries to make the claim that Obama was actually an early example of the new breed of conservative. how would the politically literate here compare the level of opposition Obama had to work within the bounds of, with a president like Clinton? I felt Obama's presidency was plagued from day one with opposition that makes other presidencies pale in comparison, and was impressed with the progressive efforts he made in spite of that. I think Clinton had it worse. Newt and Ken Starr were relentless in trying to pin something on him to get him out of office. Obama was about as squeaky clean as presidents come, all that the GOP could do was obstruct. Late stage PD levels of delusion in this thread. I can understand that, but Clinton came through all the opposition, and public humiliation without sacrificing much politically, imo. I don't know if Obama was as successful in that area. I don't think either were saints i just wondered about how he compared against another prgressive that had to spend much of their time trying to work through the political downfalls, be they self created (as with clinton) or not. Thanks for your reply, though. I don't get many these days. I think Clinton suffered greatly on ideology, though. He signed a bunch of things (welfare reform, crime bill, AEDPA, PLRA) so that he could gain reelection and outmaneuver Team Newt. Obama didn't compromise in that fashion, and even if he wanted to, the GOP remembered their 1996 disaster and vowed to never give a Democratic president that kind of gift again. Nor do I. There's always cycles for all of us on when we're more or less present. I think there is a lot of truth to this, and it what marked the difference between Obama and Clinton's tenures. There was a calcuation made early in Obama's term that the best way to acquire power again was to not work with him on anything, betting that the American people would take it out on the administration and Democrats. Unfortunately, the country had the worst possible response; it worked. Neither party has any impetus to change from the atmosphere that plagued much of the Obama administration (it's also why I think that no matter what McConnell says, the legislative filibuster is not long for this world). Pretty much this. I think Republicans in 2009 were terrified that the 2008 election might have signaled the start of a political realignment in favor of Democrats and (correctly as it turned out) decided that their best way to prevent that from happening would be to fully oppose everything that Obama wanted to do. 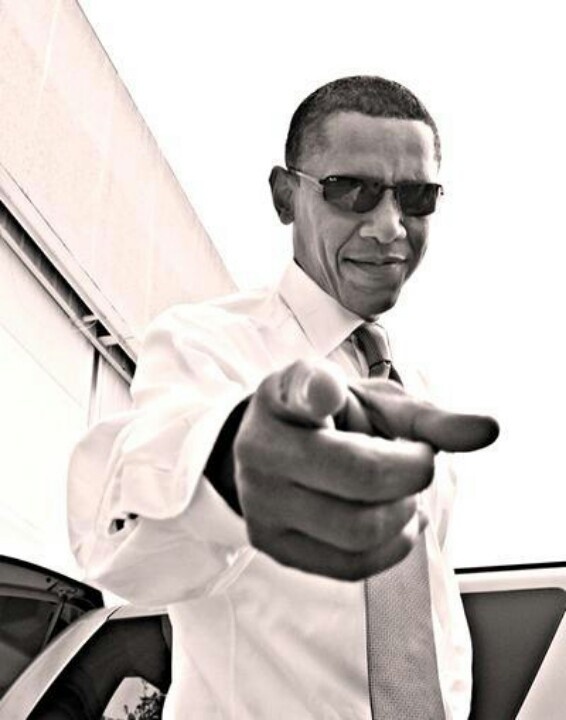 Sometimes this was purely political, other times it was also ideological (like the gift Obama gave Republicans called the Affordable Care Act), but I think there was united, unrelenting opposition to him from day 1 in way that was unique in the modern era. It's probably good politics. I guess it comes down to the goal of the parties which is primarily to win elections and gain power more so than improving the country. As far as how we've gotten here, here's my theory: We place entirely too much importance on the president, as in we assign waaaaaaaaaaay too much credit and blame and general causality to his actions. We think he's much more powerful and responsible for what's happening than he is. In reality, he's very, very dependent on Congress to get much of anything done in the area of domestic policy. So divided government presents the opposition party that controls Congress with a dilemma: work with the president from the opposition party and let him reap the lion's share of the rewards of the bipartisanship and likely strengthen his party electorally, or play the role of obstructionist and point to his failure to get things done and to be bipartisan.